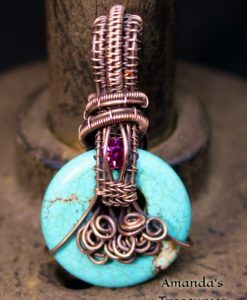 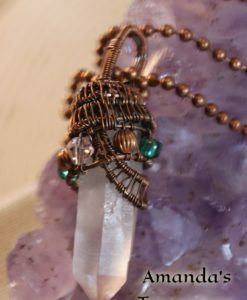 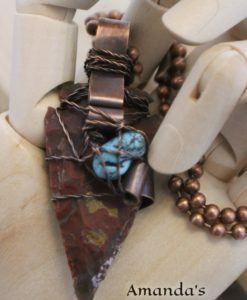 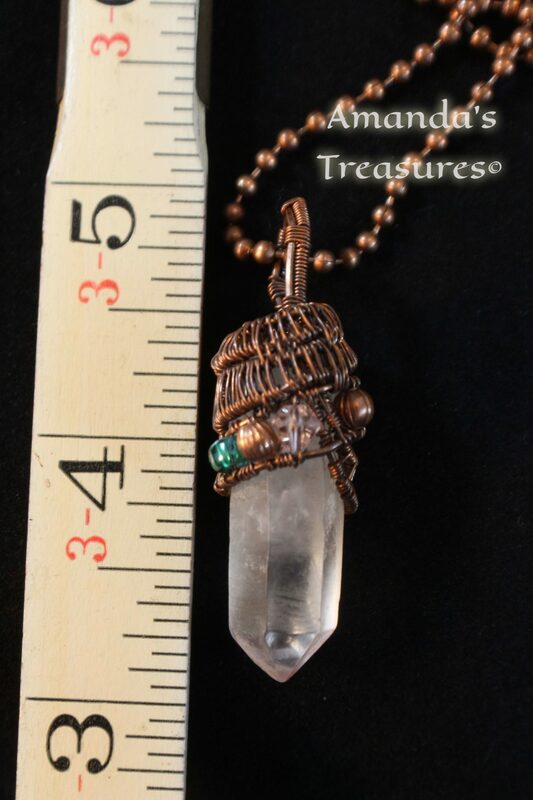 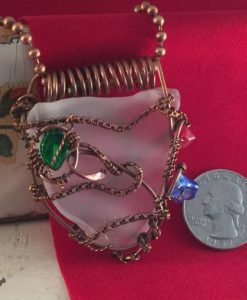 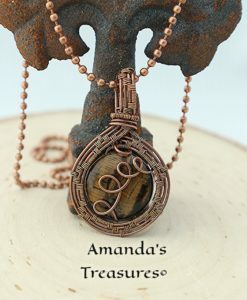 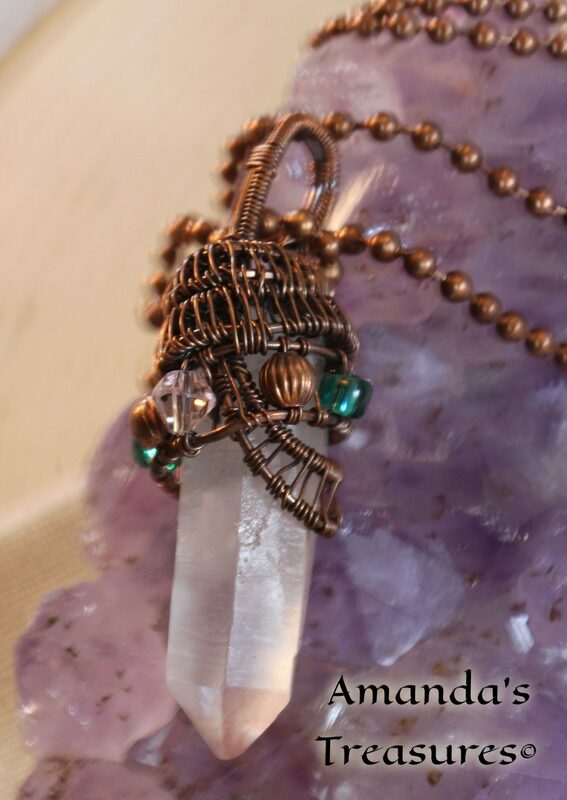 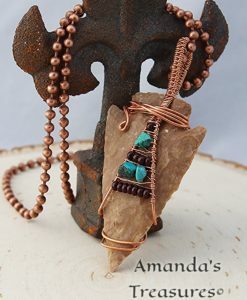 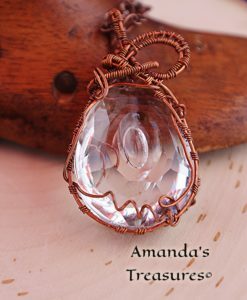 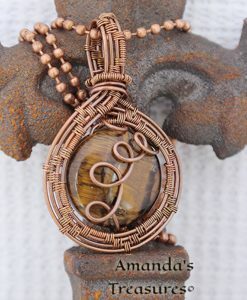 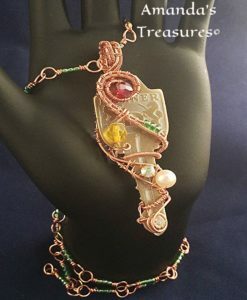 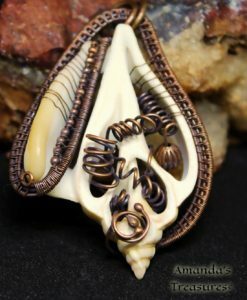 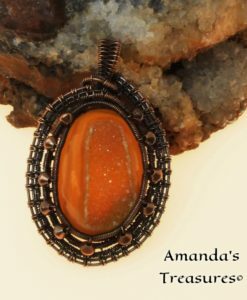 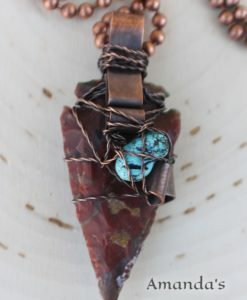 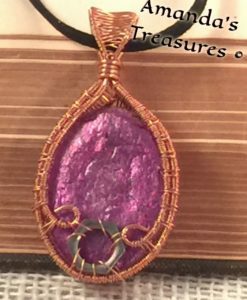 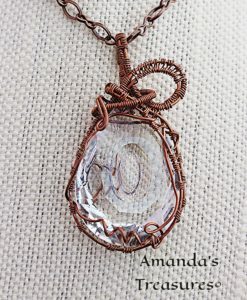 “Entwined” copper wire wrapped crystal necklace is an original design by Amanda’s Treasures. 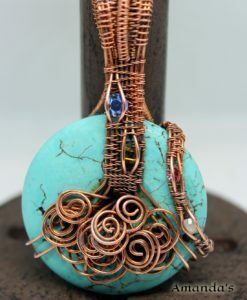 There is a lot of stitching involved in this design. 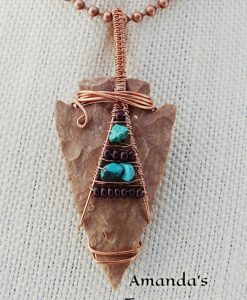 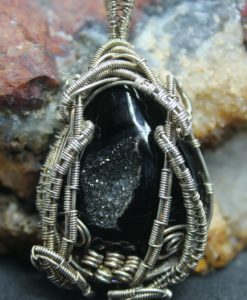 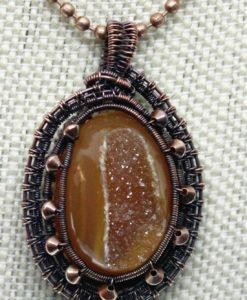 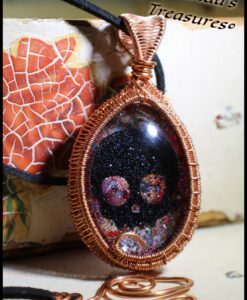 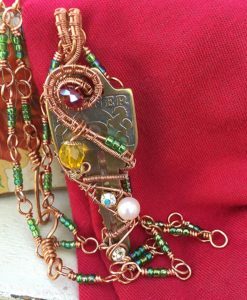 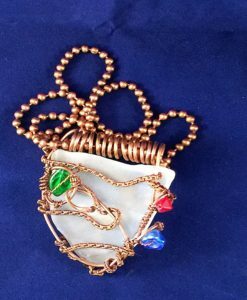 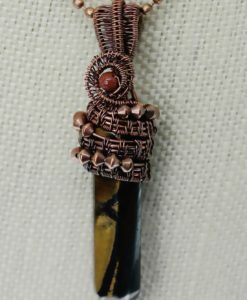 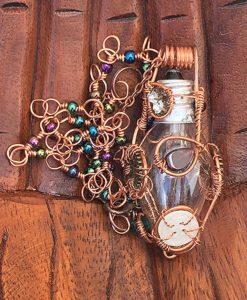 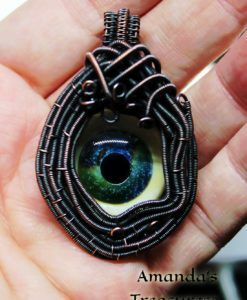 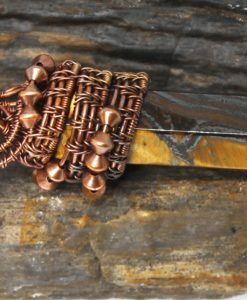 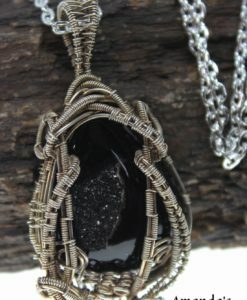 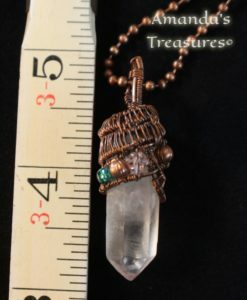 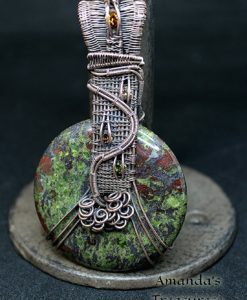 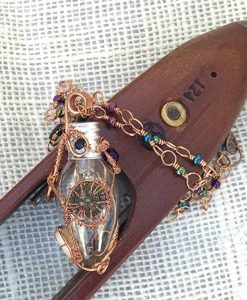 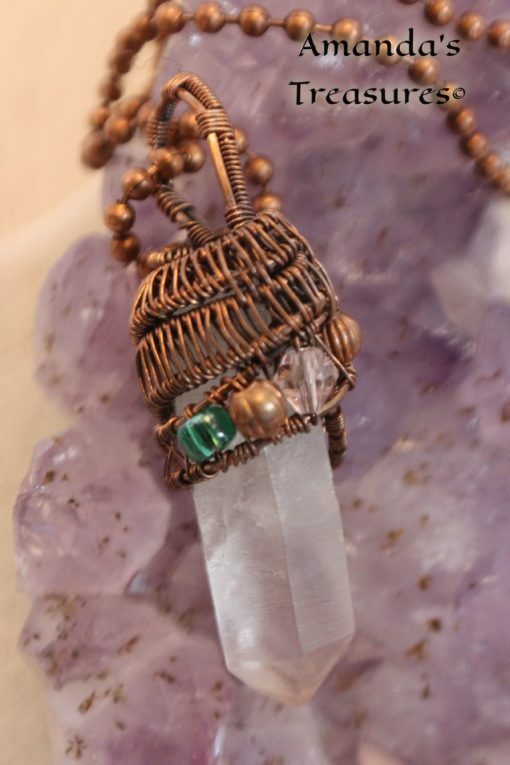 The wires form a cap to the top of the crystal, copper, crystal and seed beads are woven into this design. 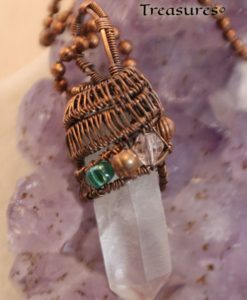 Some believe that colorless, white or violet crystals open the door of perception; bring unity with the Universe and transcendental love.